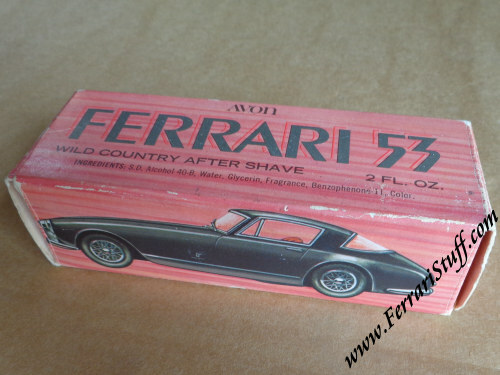 Here we have a vintage circa 1974 - 1975 Avon bottle of Wild Country After Shave in the shape of a 1953 Ferrari 375 (America?). The set is unused and it is the actual bottle and box that are depicted in the photos. The box measures some 13 x 5 x 3.75 cm or some 5.1 x 2 x 1.5 inches with the bottle measuring some 12.5 cm in length (some 5 inches). 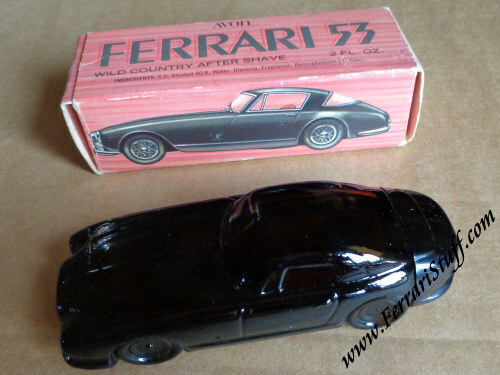 The bottle itself is made of a dark amber-colored glass with a plastic closure which forms the tail of the car. Good condition for its age as visible in the pictures. 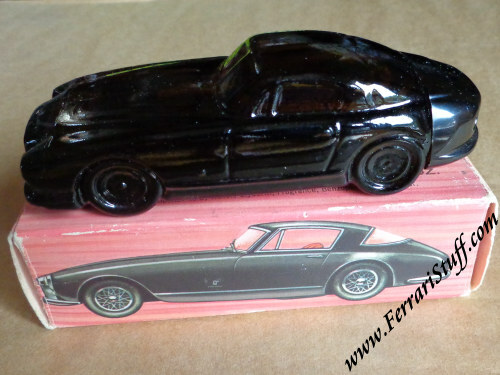 A GREAT and unusual Ferrari collectible!